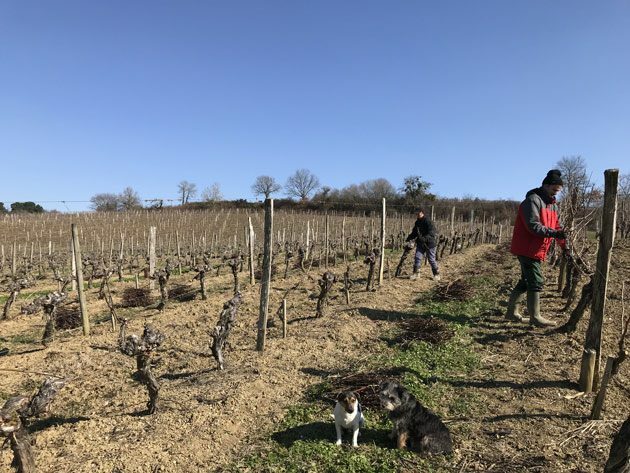 A cold February has been good news for us as the vines have had a decent winter break, and we’ve been able to prune them without the imminent risk of the sap rising prematurely. We have, pretty much, just the young plantations to go now. We’re also relieved that we decided to delay the bottling of our 2017 whites and rosé until March, thus avoiding the freezing temperatures. Talking of 2017 and frosty weather, the official production figures for last year’s harvest in Bordeaux have now been released, on the quiet. Regular readers will know that we like to graph up the odd stat or two, and fans of this sort of analysis won’t be disappointed in the missive below. There really are some interesting numbers to look at – it’s a year of hugely contrasting fortunes – and we were even quoted at length on this in the FT last week. Others, quite understandably, might want to move swiftly on.